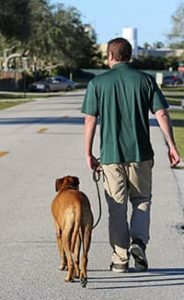 At DogsWorld, our commitment to The Dog Lifestyle and harmonious pet/owner relationships means we both understand and appreciate the need for obedience training. Effective training helps pet parents more fully involve their dog in their lives and greatly reduces miscommunication and frustration. 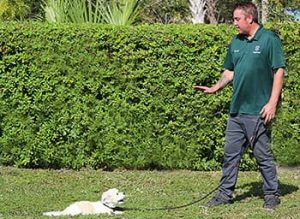 Everyone wants a well-behaved dog, and our trainers are here to help you get there. We train our four-legged students with positive-based methods. 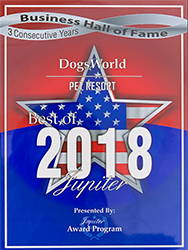 DogsWorld trainers use proven, dog-friendly techniques perfected by years of experience and understanding of canine behavior. Because every dog is different, we develop custom programs based on your dog’s breed and specific goals. Call us today to schedule a FREE Training Evaluation and see for yourself what a great training program can do to improve your life with your dog! Schedule a Free Dog Training Evaluation! Let our training experts help your dog learn importance obedience skills and good manners while he or she enjoys a stay with us! This is the perfect option if you’re going out of town or on a business trip and want to return to a well-behaved pup. Your dog will enjoy daily one-on-one training sessions, honing behaviors to help them become even more perfect members of your family. At pick-up time, we’ll show you what your pet has learned and teach you how to keep reinforcing those skills to help the learning process continue. Whichever training option you choose, your dog’s trainer will be in touch with updates on his or her progress. Plus—even after the program’s ended, we’ll provide ongoing support to ensure the results last. Private, one-on-one lessons are an excellent option for pet owners with busy schedules or for specific behavior challenges. 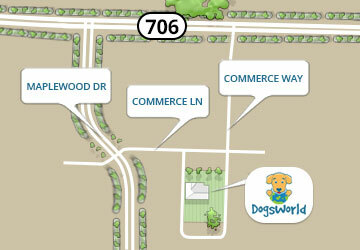 Visit us at our DogsWorld training center or have one of our trainers come to your home. Our goal is to improve your relationship with your dog while teaching you how to improve your pet’s manners and obedience skills. All of our methods are positive and rewards-based. Each lesson is scheduled for your convenience and designed around your pet’s individual needs. Our trainers provide clear instruction, demonstrate specific techniques, and coach you through the process of imparting new training skills. We welcome follow-up questions by email or phone as an included part of the program. Our day training option offers the benefits of customized training sessions during the day… but you still get to enjoy your best friend in the evening. Simply drop of your pet for a daycare visit and we’ll take care of the rest. Exciting playtimes between information training classes make our day training a fun, educational experience for your pup. Why Enroll in Professional Training? If you’re not sure your dog would benefit from professional training, consider these important facts. We have decades of experience in canine behavior and communication. 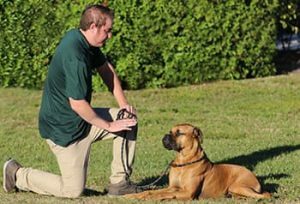 Our training team has seen it all—all breeds, ages, issues, and goals. 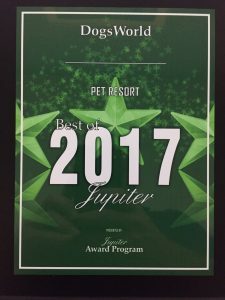 We use only positive training methods proven to work, and we approach your dog as an individual with a program built especially for him or her. Because we’re so experienced, we’re able to adjust our approach on the fly to determine exactly what your dog responds to best. We have the tools for a complete training experience. Training in a sterile environment may introduce your pet to common skills and manners, but it’s nothing like the real world. In our training center, we introduce distractions, new challenges, and multiple trainers to increase your dog’s focus. Every breed and age can be trained. There’s no such thing as a dog that’s too old to learn. Yes—starting training in puppyhood gives dogs the best foundation. But the proper amount of consistency will produce results in adult (and even senior) dogs. Our programs come with invaluable resources and tools long after you leave our training center. 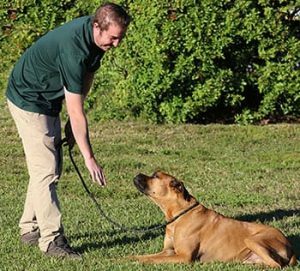 Each of our training options includes ongoing support with a training expert to help you reinforce and improve upon your dog’s behavior at home. That’s in addition to our favorite training tips & tricks, at-home exercises, and other references for your use well beyond the program. Call us today to learn more about our training options in detail!